Microgaming invite you to visit a posh French restaurant where a Michelin chef will treat you with his signature dishes, including a delicious cream soup, exotic snails, tender king prawns and a cheesecake with blueberry topping. The prices are not as high as you might think. Get ready to pay $0.01 to $125 per one meal. 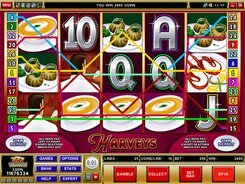 The Harveys slot is played over five reels and 25 paylines, and its symbols set includes the aforementioned dishes and traditional playing cards. 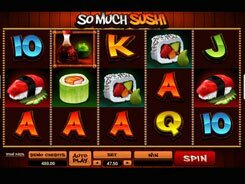 With its $125 top bet per spin, the slot will appeal to high rollers and cuisine-theme slot fans. 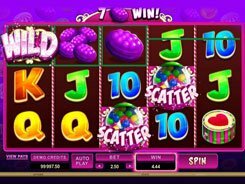 Be all eyes to see a bottle of champagne scattered on reels 2 and 4, as you get up to 30 free spins at a x25 multiplier. 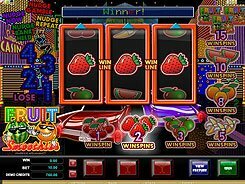 Another high payer in the slot is a wild symbol that replaces for all regular icons and pays out x2 to x2000 times a line bet if 2 to 5 land on an active payline. 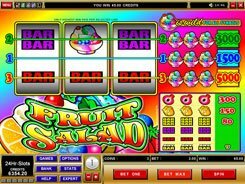 This mouth-watering slot has a scatter, too. It triggers no special features, but pays out decent awards amounting to x2 to x100 for these 2 to 5 scattered in any spot. 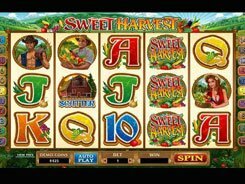 We do hope you will enjoy the delicious treats and the cozy atmosphere at the Harveys slot brought to you by Microgaming.